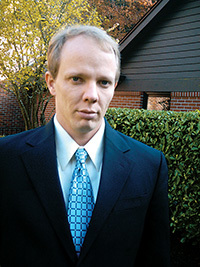 Alan Michael Collinge is Founder of StudentLoanJustice.Org, a grassroots organization, and political action committee. He holds B.S., M.S., and Eng. Degrees in aerospace engineering from the University of Southern California. Since Founding StudentLoanJustice.Org in March, 2005 as a result of his own personal experiences with college loans, Collinge has been featured on 60 Minutes, and also in print media including Fortune Magazine, the San Francisco Chronicle, The Boston Phoenix, The Village Voice, Inside Higher Ed, and others. He has published editorials in the Los Angeles Times, Baltimore Sun, Denver Post, and many other outlets. Prior to founding StudentLoanJustice.Org, Collinge was Associate Scientist of Aeronautics at the California Institute of Technology, and also was regional project director for a government loan program administered by the U.S. Department of Transportation.